Some time ago I wrote a blog post about Clipper's teas and told you that I bought Detox tea from them. After I finished it I absolutely felt in love with that detox tea. Back then I didn't know a lot about them and why they are called detox. What's so special about them? Detox teas have been popular for years ( and then there's me who have no idea what it is), primarily among people who frequent health-food stores or consult with alternative practitioners. These days, though, they have become big business. A lot of celebrities are touting their weight-loss benefits on social media. In a way, detox teas have become the liquid version of waist trainers. But do they really work like that? Let's find out some more facts about these magical teas. You still have to diet and work out for detox tea to work - Nope, detox tea won't you a magical lose all the weight. That's not that easy. One detox tea brand, advises per their website that for ''best results'' the tea should be consumed along with plenty of water, healthy, balanced meals, and tree to five workouts a week. This makes me want to doubt the actual power of detox tea, because how we can be so sure if it really helps us lose some weight if we still diet and workout regularly? Is it really that good or is it just a marketing trick?! Some detox tea ingredients can have unwanted side effects - Senna a plant with a natural laxative effect. Side effects of senna use may include abdominal pain and discomfort, cramps, bloating and the list goes on. Another ingredient in weight loss teas is guarana, a plant that's often added to energy drinks. It's side effects are commonly related to it's caffeine content, which may include nervousness,nausea, headache and fast heart and breathing rates. Of course, it doesn't mean that all those teas are definitely having them and I'm not saying that you should never try them. Just if you know you can have any of these side effects then look carefully at the ingredient's before you buy your detox tea. They may interfere with your sleep - As we already made clear that some of the detox teas can contain caffeine. As we all know too much caffeine is too risky, it will make you stay up longer and work harder than usual. In fact, too little shuteye has been shown to trigger excessive eating and weight gain and even slow metabolism, which can make it easier to gain weight even if you don't eat extra calories. So better don't use detox tea before your sleep. And in the mornings - it may be a better idea of your every day latte. 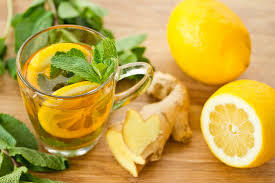 Stronger immune system - There's not only the bad things the detox tea does to use. One of the good thing is that it helps us make our immune system stronger. When you detox the body you free up your organgs to function the way they should. This helps to give your immune system a boost since you'll be able to absorb nutrients better.Many of the herbs you take while on a detox will help the lymphatic system, which plays a big role in keeping you healthy and firing on all cylinders. Promotes healthy changes - We all know how hard it its to change long-standing habit, but a detox is one way how to wedge between your old ways and your new ones. If you have addictions to sugar, caffeine, fried or crunchy foods, try detox to help you kill those cravings. There's big chance it will help you, but remember that you also have to be strong not to go back to them. Lighter feeling - One of the reported benefits of detoxing is a feeling of being lighter. Say what you want to say but after some cups of tea you're not hungry anymore, but you also dont fell full. At least that's how it works for me. So basically this is it what I wanted to tell you about these teas. Still it all depends only to you if you want to drink it or not. I'm a big fan of all these herbs and everything natural so yes I am going to keep drinking these teas also after I have found out all these good things and the bad ones. The most important is to always keep in mind that you can't use only these teas without eating at all, then lose all the weight and feel happy. Yes, models do it, but do they look healthy? Nope, not really. Drink detox tea as your every day tea and all will be good. You are beautiful no matter what and keep it in your mind.